The Sending Time Optimizer is an innovative solution for automatically conducting tests which until recently had to be done manually. 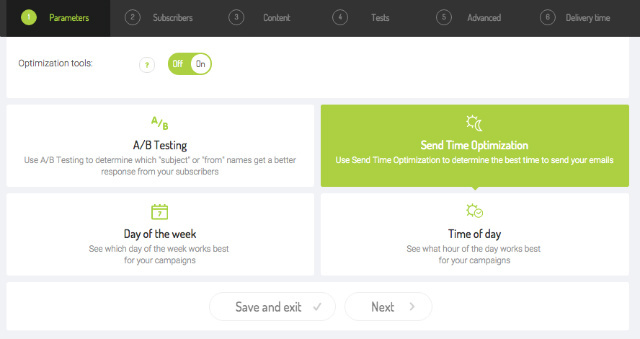 The Sending Time Optimizer allows you to see the times at which you get the best conversion rates. Knowing when your Open Rate and Click-Through Rates are highest enables you to achieve the most effective campaigns with the highest revenues. How do you enable the optimizer? To use the optimizer you have to enter the campiagn creator. 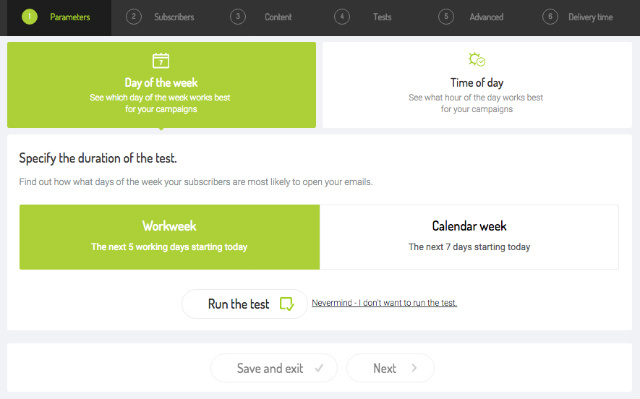 Then define the campaign’s basic settings and use the slider to turn ‘Optimization tools’ on. On the menu that will appear, select the Sending Time Optimizer. 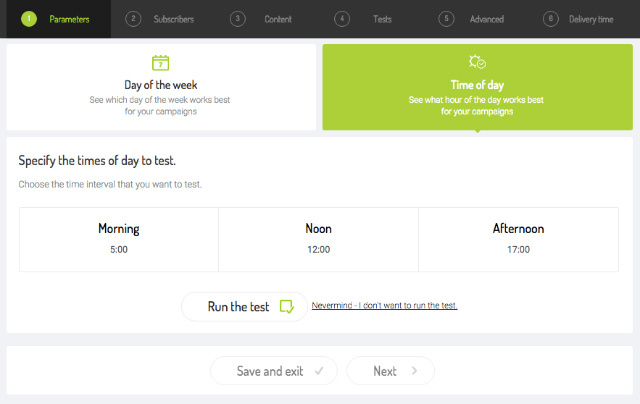 Then you will have to choose between testing the optimal day of the week for your campaign or the optimal time of day. When testing the day of the week, you can then choose between the workweek (the test runs only on workdays) and the calendar week (the whole week including weekends). How is the test run? 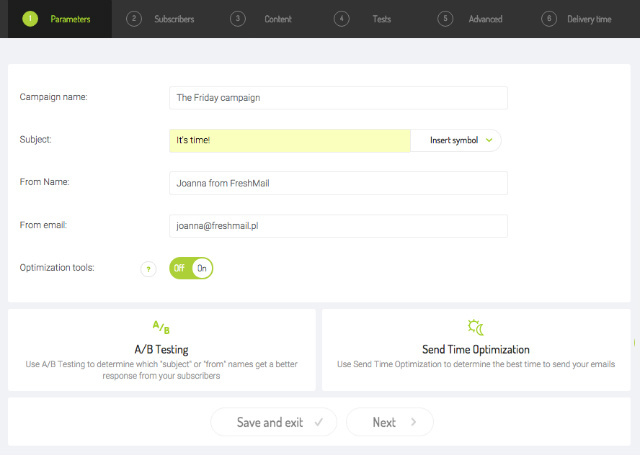 After choosing to run a sending time optimization test, the FreshMail system will equally divide your mailing list into the number of days that you choose to run the test. Then FreshMail will send the same campaign to each group in the morning hours. After a week you will be able to see on which days you achieved the highest open rates. It depends on you which times you would like to test (remember that you will have to select at least two of them). Similary, your mailing list will be divided into equivalent parts and the campaign will be sent automatically. After the test ends, results will appear in reports. They will define at which time of the day you should send your message to your subscribers. How do you analyse a report? Detailed information about the campaign sent with a use of the Sending Time Optimizer could be found in the reports tab of the given campaign. On the side toolbar select ‘Advanced’ and then ‘Sending Time Optimizer’. Open rate - it’s the percentage ratio of the displayed messages to sent messages. Click-Through Rate - it’s the percentage ratio of recipients who clicked the link to the numer of sent messages. Engagement - it’s calculated as the ratio of clicks to the openings of the message (clicks it opens). Based on this rates FreshMail makes the recommendations for the future email marketing campaigns. If the aim of your campaign is the to get wide range you should take a close look at the open rate because it shows the best how many people opened the message and had the change to get to know the content of newsletter. If you prefer to focus on the web traffic you should draw conclusions from CTR as this rate shows how many people clicked in the links in your campaign and moved to the landing page. 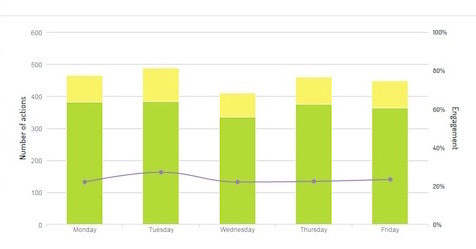 The last rate ‘Engagement’ gives you the information at what time or what day of the week your subscribers were the most involved in newsletter reading. You can analyse when the inboxes are opened the most frequently, the messages are read the most often and subscribers are motived strong enough to click the links and check out the content of a landing page. Rates are also presented on the graph as you can see on the example. The graph presents the number of unique openings (the hight of green post) and unique clicks (the hight of yellow post) that can be read on the vertical axis on the left side of the page. The level of engagement expressed in percentage can be read on the right vertical axis. In order to run effective email marketing campaugns it’s not enough to send messages. You also need to analyse reports quite often. Reports are available in the FreshMail system but also in Google Analytics. Reports helps you to optimize your campaigns and measure the sales conversion on the page. For last 5 years we have observed many changes regarding the best day and the best time for sending newsletters. There is one conclusion: even though there are some trends they seems to change regulary. Preferences of recipients are not steady so it’s important to run tests quite regulary to make sure your message will be sent at the best time. What to use for your "from email"? How to create a first campaign in FreshMail Designer? Library - create, edit and sort the templates all in one place! What is campaign moderation about?